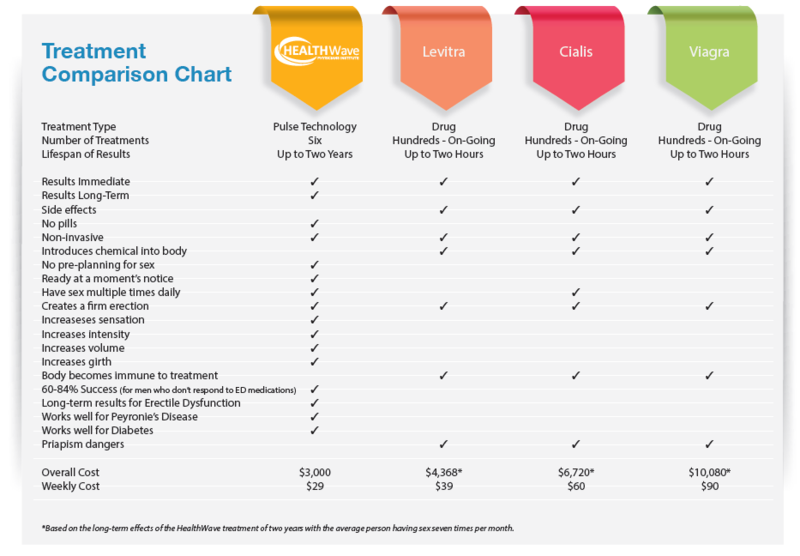 Prices for the treatment at HEALTHWave Physicians Institute vary depending on the package chosen. 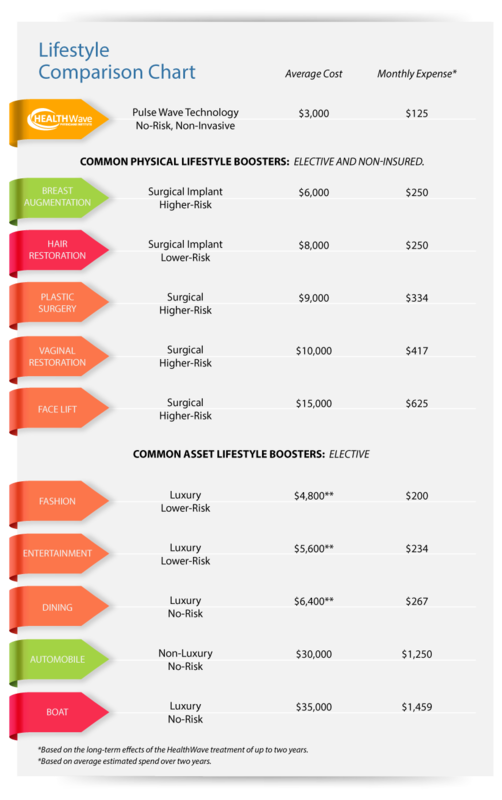 The number of treatments in your package will differ based on your individual goals, but can typically range from six to twelve treatments and can be as low as $415 per treatment. The benefits of the treatment are scientifically proven to last for two years or more which brings the average cost of our treatments to only $25 per week! Preventative maintenance and performance packages are also available to help you maintain your results and truly optimize your sexual performance. Chances are, you know of someone that’s had a procedure to improve their lifestyle. Whether it’s a procedure like a Breast Augmentation, Plastic Surgery, Hair Restoration, Vaginal Restoration, a Face Lift, or even Botox treatments, the common denominator is that people do them to feel better about themselves – no matter what. What’s more important than YOUR self-esteem and having the intimate relationship you did when you were in your 20’s and 30s? Treatments at HEALTHWave Physicians Institute will bring the intimacy back to your relationship while providing you the confidence you deserve. In addition, our treatments are some of the lowest cost lifestyle treatments available and are a much better option than expensive medication that can have harmful side effects.